Alstom’s South African joint venture (JV) partner, Gibela, has successfully entered its first X’Trapolis Mega trains in South Africa. 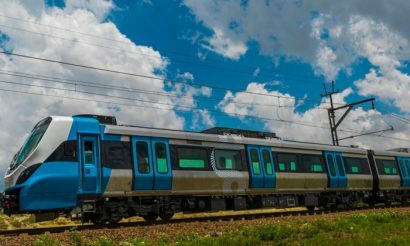 Alstom’s South African joint venture (JV) partner, Gibela, has successfully entered its first X’Trapolis Mega trains into commercial service on South Africa’s commuter rail tracks. 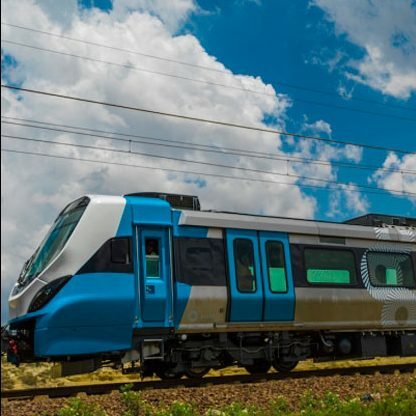 These trains are part of a 600 new state-of-the-art fleet being built by Gibela for the Passenger Rail Agency of South Africa (PRASA), and the first 13 trains were unveiled by the State President of the Republic of South Africa, Mr Jacob Zuma at Pretoria station in front of more than 2000 guests. The X’Trapolis Mega is a new train in Alstom’s X’Trapolis suburban range. They will initially run in the Koedoespoort – Rissik Corridor in Pretoria during peak and off-peak hours – a total of 146 trips a day. The construction of Gibela’s manufacturing facility in Dunnottar, South Africa, is well underway and due to be completed by the end of 2017. At peak production, Gibela will be able to produce 62 trains a year (each trainset comprises six cars) and a panel of 200 local suppliers will be manufacturing equipment and components to the 580 locally-produced trains from 2018 onwards. “This is a historic moment for Gibela, its shareholders and the country at large as South African commuters finally have access to a service that marks entry into a new age of rail,” added Marc Granger, CEO of Gibela. As a whole, the project will boost the country’s economy as it creates jobs, develops new skills, prioritises local economic development and local content and promotes black economic empowerment. 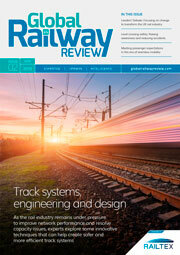 To read more about the investment and modernisation of South Africa’s railways, read Global Railway Review’s article in Issue 3 – out on 17th May 2017. Click here to subscribe for free now.